by ALISA RUTHERFORD-FORTUNATI on NOVEMBER 28, 2011 If you’re truly interested in organic (i.e. ecological and healthy) alternatives to chemical fertilizers, then it’s time to start scrutinizing organic growing practices and store-bought fertilizers a bit more carefully. 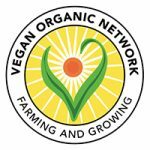 When you bite … Continue reading Organic Growing: Supporting Animal Farms?